What have chemical engineers been doing to advance the profession for the benefit of society in 2018? Here are just some of our highlights from the year. Chemical engineers descended on the Houses of Parliament yesterday, to ask MPs and policymakers about UK Science and Global Opportunities at Parliamentary Links Day – the largest science event in the Parliamentary calendar. They had been selected by IChemE, as a special thank-you for the time they had dedicated volunteering for the organisation. In the wake of the Election result and as Brexit negotiations begin to take shape, Parliamentary Links Day, organised by the Royal Society of Biology, saw a record turn-out of scientists and engineers all keen to discuss how the political landscape impacted their industry and work. Air quality is something that teenagers and school children probably spend little time thinking about. In the area of Wasatch Front, Utah, US, this issue is particularly important due to weather inversion. Weather or temperature inversions occur when there is an increase in temperature with height. This means that an inversion can trap pollutants below it causing higher pollution levels. Educating young children about air quality and how the decisions we make as an individual and as a society affect pollution can be a challenge, so a chemical engineering research associate at the University of Utah, Kerry Kelly, came up with a video game idea to do just that. 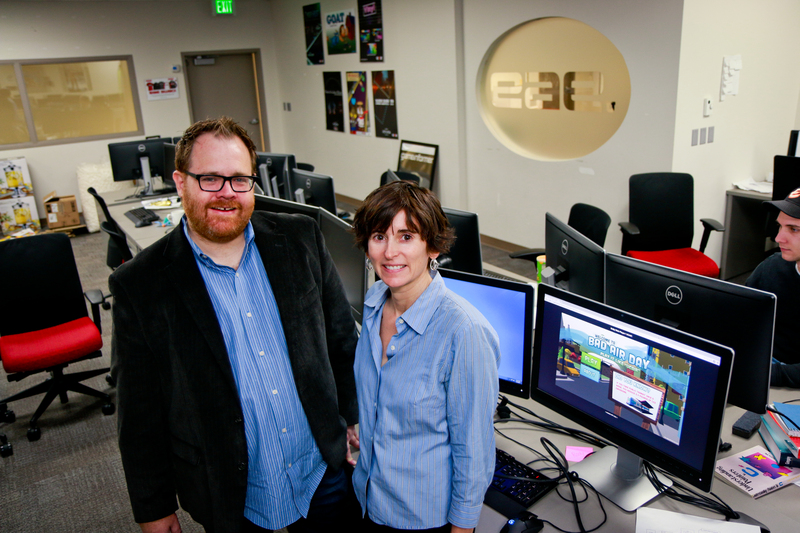 Kelly wanted school students to start thinking critically about air quality, so working with Roger Altizer, a professor at the University of Utah’s Entertainment Arts and Engineering video game program, the web-based game “Bad Air Day: Play It Like UCAIR” was created.